We’re experts in used auto glass repair, removal, and replacement. By specializing in car glass, we can offer a comprehensive set of services to meet all of your vehicle glass repair needs. The most common and costly mistake most drivers make is to not have a small rock chip repair performed while the damage is still fresh. You’ll save time and money when our experienced salespeople offer you our new and used products and then recommend what will work best for your vehicle. You’ll see for yourself that their experience goes far beyond that of other companies. 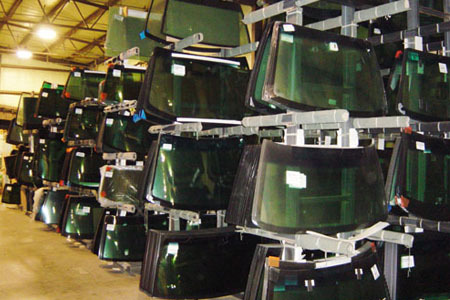 With a large inventory of glass, both new and used, our Used Auto Glass Service is able to provide same-day service for any of your auto glass replacement or repair needs. In some situations, you have no choice but to replace the glass in your car. When this happens, we can help you find used auto glass to help you keep your costs down. Get a FREE Windshield Replacement Service Today! Auto Glass 4 Less specializes in auto glass and windshield replacement. We offer same day repairs at our Riverside location. Our Certified Technicians only use the best OE parts to insure quality and total customer satisfaction. We are your local windshield replacement company, offering the best service and lowest prices in the Riverside area. Copyright © 2019 Auto Glass 4 Less | All rights reserved | Powered by RTS Website Design.